The United States Polo Association (USPA), USPA Global Licensing (USPAGL) and International Polo Club (IPC) are elated to announce a thrilling new high-stakes tournament series for the sport – the GAUNTLET OF POLO™. This heart-pounding competition is a true survival of the fittest, where the world’s preeminent teams, most skilled athletes, and finest horses will come together for three months at the U.S. Polo Assn. field at IPC in Wellington, Florida where they will battle head-to-head for the coveted C.V. Whitney Cup, the USPA Gold Cup®, and the U.S. Open Polo Championship®. In this competition, there is more on the line than trophies and titles. The GAUNTLET is the ultimate test and the team that wins all three tournaments will be crowned GAUNTLET Champion and take home a total prize of $1 million – the largest purse in the history of the sport. 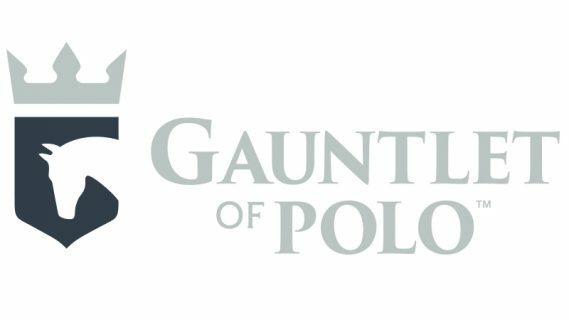 The GAUNTLET OF POLO™ is anticipated to bring in tens of thousands of fans from around the world and should break attendance records, creating an immediate positive effect for the Palm Beach community and surrounding areas. The 2019 tournament series begins with the C.V. Whitney Cup held February 13-24, 2019 and continues with the USPA Gold Cup, February 24- March 24, 2019 culminating with the U.S. Open Polo Championship® March 27-April 21, 2019. The games will be livestreamed on the USPA Polo Network each week, with the final match aired to millions of viewers on CBS Sports on April 28 at 2pm EDT. The final match will also be replayed globally in Latin America, Europe, Asia and India. The GAUNTLET brings the passion and drive of this esteemed sport to the foreground, testing the players’ mental and physical acumen as they compete in the most challenging and most valuable polo tournament in the continental U.S.A.
For the first time in the sport, the tournament series will include a “Winner Take All” prize money format guaranteeing $125,000 to each of the winning teams of the C.V. Whitney Cup and the USPA Gold Cup, and a $250,000 prize for the winner of the U.S. Open Polo Championship®. A $500,000 bonus for any team that wins all three tournaments in consecutive order will serve as an additional incentive, yielding $1 million in total prize money and recognition as the GAUNTLET Champion. For polo, the GAUNTLET OF POLO™ represents the challenge created by linking the C.V. Whitney Cup, the USPA Gold Cup and the U.S. Open Polo Championship®. The GAUNTLET will be the sport’s ultimate test and greatest prize. Tickets for all GAUNTLET OF POLO events are available for purchase at www.internationalpoloclub.com.